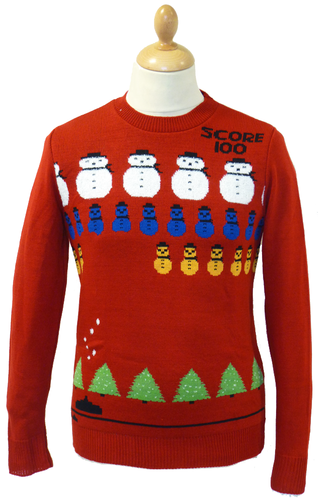 'RUN RUDOLPH RUN' RETRO INDIE MENS SEVENTIES CHRISTMAS JUMPER by MADCAP ENGLAND (Bottle Green/Red). 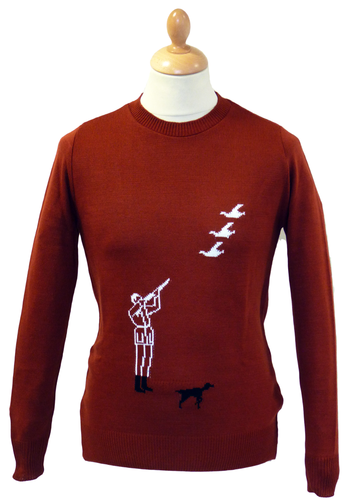 Madcap England Limited Edition 'Run Rudolph Run' Retro Mens Christmas Jumper in Bottle Green and Red. Made in England with stylish Retro Seventies Fair Isle design in Red to front and Vintage Reindeer design to chest. 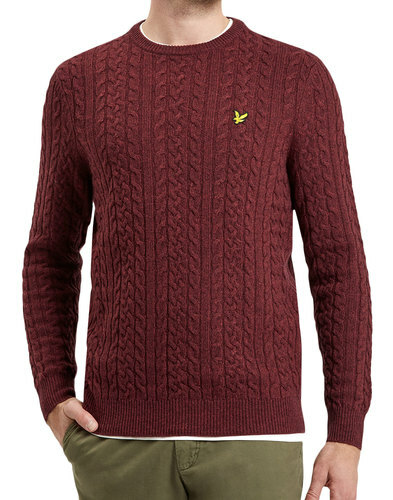 Crew neck Indie Christmas Jumper with ribbed collar, cuffs and hem. Fantastic festive themed colour combination. 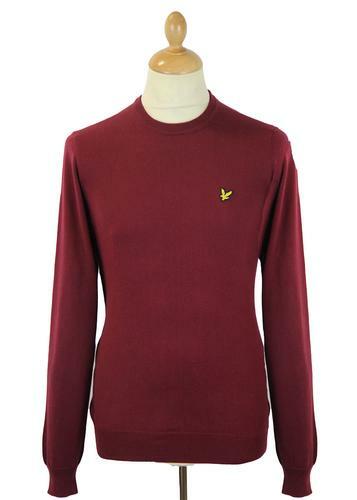 The ultimate Mens Retro Winter warmer woolly Jumper by Madcap England. 'RUN RUDOLPH RUN' MADCAP ENGLAND MENS RETRO INDIE CHRISTMAS JUMPER - Limited Edition 'Made in England' Mens Bottle Green crew neck knitted jumper with ribbed hem, collar and cuffs. Winter wooly style Christmas Jumper with Retro Fair Isle pattern and Reindeer design in Red. Great festive colours. Colour: Bottle Green with Red fair Isle design. Care: 40 degree machine wash, wash dark colours separately. 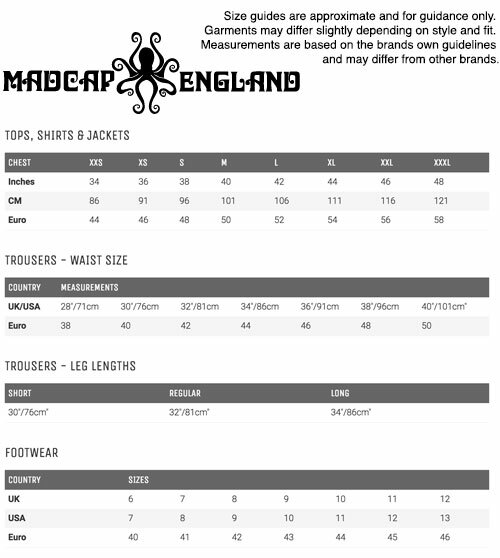 Please read full washing instructions on garment label for further information. SKU: MC81 'Run Rudolph Run' Madcap England Christmas jumper (Bottle Green). 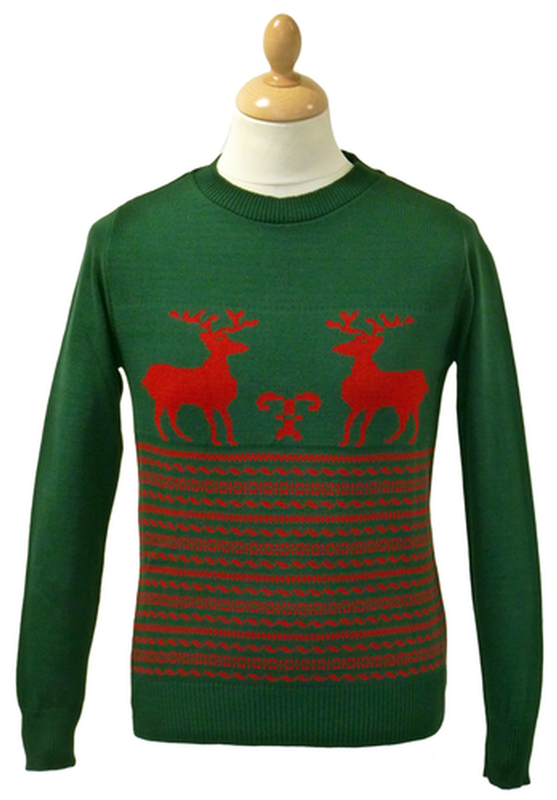 'Run Rudolph Run' Madcap England Mens Retro Indie Christmas Jumper (Bottle Green/Red). Please check your chest size. These jumpers come up smaller than generic sizes.